Juilliard is doing quite well for itself, it seems, having graduated from the Young Performer’s Festival two years ago to the “Early Music superstars of tomorrow” at this year’s BEMF. But, snarky comments of embittered college colleagues aside, this Saturday concert at Jordan Hall was indeed a special occasion, featuring a collaboration of Juilliard415 and the Royal Academy of Music, with the great Rachel Podger as concertmaster and esteemed maestro Masaaki Suzuki the conductor. Spotlighting three great works of Bach, the concert showered us with fine detail and a whiz-bang of technical proficiency, but often lacked the musical enchantment one might expect of such talented company. 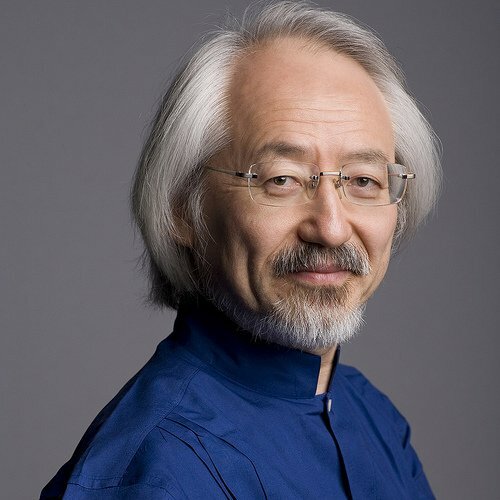 Following Suzuki’s ecstatically received approach to the stage, the first cantata, Die Elenden sollen essen, BWV 75, felt more miserable than meek, though the German does go both ways. Nathan Haller injected real enthusiasm into the aria “Mein Jesus soll mein alles sein,” his elastic tenor sounding genuinely excited about the prospect, but Suzuki’s continuously strident gestures led to aggressive detachment in the orchestral accompaniment. In Part II of the dense work, Božidar Smiljaniç’s declamatory bass aria “Mein Herze glaubt und liebt” was nicely refined, but orchestral sequences remained undeveloped and unfulfilled, the messe di voce too predictable; it needed more of Paul Bosworth’s absolutely stellar trumpeting, his unabashed fire in phrasing. Suzuki’s intense focus on lucid counterpoint is undoubtedly effective, but ultimately became formulaic, with this melodic line ever peaking in that particular way, or these skipping upbeats detached in this pointed way, before yielding to a silvery legato on stepwise motion, as in the warmly bubbling “Was Gott tut, das ist wohlgetan” chorale. These gestures were likely hindered by Jordan Hall’s tight acoustic, with the incredibly precise diction of the full chorus coming across overbearing, and the strings’ extremely quick crescendi aggressive at moments of high drama or melancholy. 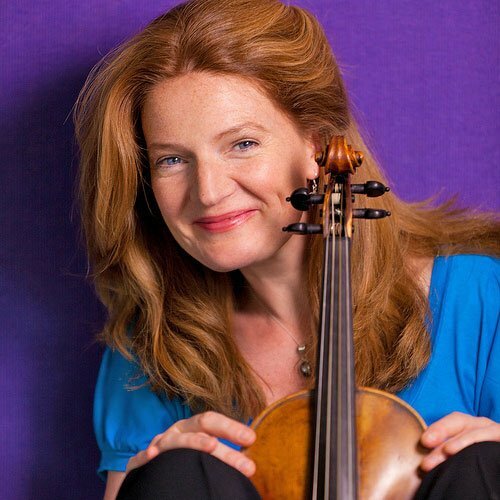 The Concerto for Two Violins, BWV 1043, was then a welcome change of pace, with smaller numbers, led on stage collegially and fluidly by soloists Davina Clarke and Carrie Krause. Krause’s violin sizzled in the opening Vivace, brassy and pointed, before warmly rounding out its sound in the celestial second movement, an affectionate conversation between two friends in no hurry to go anywhere. Clarke’s sound remained darker and rich, no less lovely, though some incidental figurations in the Largo seemed more distracting than enriching. The real fun was in the final movement, though, which was pulse-pounding, largely for fear it all might come off the rails. Clarke conducted silently to herself at length with her bow before beginning at one tempo, with Krause seconds later flying off with another, gamely taking her side of the orchestra crackling along for the ride. Delicacies of phrasing were jettisoned, entire licks of the soloists were lost in the jumble, and new records were probably set, but it certainly was exciting. “How do they play in those shoes?” marveled a woman behind me. I was still wondering at the fascinating contradictions of such a solid, terrifying, musical, slapdash performance. It was a fun one. The closing cantata was far brighter than the somber opening, and was thus better suited to Suzuki’s energetic style. The bipartite Lobet Gott in seinen Reichen, BWV 11, opens with a brilliant fanfare for full forces, timpani and trumpets included; the latter absolutely obliterated choir and ensemble when all three played at once, to the dismay of no one, since they sounded so darn good. Recitatives, as before, remained largely perfunctory, the text’s significance opaque to those not carrying a forty pound convention booklet. This was not the fault of the singers, who were often dragged ever forward against their will, or a game continuo team, stuck fighting physical distance between their members; Suzuki left little time for inflection from either camp. In her aria “Ach, bleibe doch,” though, mezzo-soprano Avery Amereau drew the drama from some place deep within herself, the lowest notes a rich, enveloping curtain of clarity and undulating vibrato. Her sotto voce da capo, achingly mirrored by her orchestral counterparts, was a moment of easy musical magic that was too often lacking elsewhere. The two flutes, Melanie Williams and Marjolein Vermeeren, had a welcome showcase in the aria “Jesu, deine Gnadenblicke,” with Charlotte Schoeters, soprano, displaying more of her poise, style, and immaculate diction. And the closing chorale, “Wenn soll es doch geschehen,” was a rousing pyrotechnic finish, with the crowd generous and grateful for all. As ever and as expected, what Juilliard does is well done, and it seems the Royal Academy makes for a fitting partner. But there remains yet more potential to astound, not merely impress; to delight in the details, not just polish them to perfection.